Only half of 1,000 parents were aware of official advice to take children to the dentist before their first birthday. The Royal College of Paediatrics and Child Health (RCPCH) and Mumsnet asked 1,000 parents about their knowledge of children’s oral health and experience of accessing dental care. 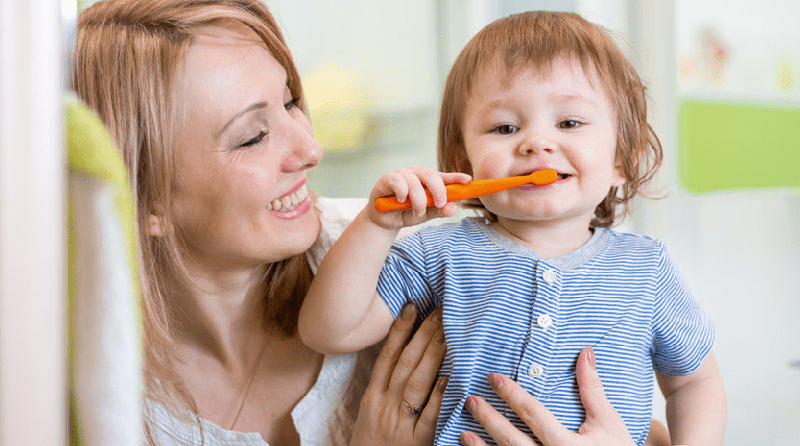 Almost 23 per cent of parents who responded to the survey said that they had experienced problems accessing free NHS dental care for their children, or for themselves during pregnancy or the early days of motherhood. The RCPCH has asked local authorities to prioritise children’s oral health in their health and wellbeing strategies. Dr Elizabeth O’Sullivan of the RCPCH said, “Tooth decay is a horrible condition which causes toothache, cavities to develop in the teeth and sometimes abscesses. To treat it, children often have to have their decayed tooth extracted and this is an expensive business, costing the NHS around £50m for those under the age of 19. The prospect of having an operation is often scary for children and the risks associated with them should not be underplayed. “Currently, there is a postcode lottery in children’s oral health with some areas providing high quality interventions and awareness campaigns while others do not. This means there are pockets of children up and down the country missing out on services that are provided free of charge to others in neighbouring towns and cities. Surely it is easier to prevent poor dental health rather than try and treat it when it’s too late.